A reporter raised a safety concern regarding the condition of drivers’ seats on Class 156 units. According to the reporter, the seats were either broken or poorly designed which was making driving uncomfortable. The reporter was worried that this could be causing injury or long-term pain and advised that this issue had been known for a year, but no action had been taken. The reporter believed that the faulty seats could potentially distract drivers and could lead to an operational incident such as a signal passed at danger (SPAD). audit Units 156 to check for faulty or worn out seats? fix or replace the drivers’ seats on Class 156 Units? The Class 156 fleet were introduced into service in 1988, the design at the time of introduction met with the Standard. Due to the cab construction, the scope for changing the cab/seat design is limited. However, we will work with the rolling stock operating company (ROSCO) to see if there is anything that can be done at the next planned major interior overhaul to improve the design within the construction constraints. We have reviewed our defect reporting system tool ‘Infor’ and it has not highlighted any concerns or outstanding defects to driver seats. However, despite no seat fault trend being identified, we have made arrangements for a fleet check of Class 156 units to capture any issues. We also met with the driver Trade Union representatives to discuss this further and better understand concerns from across the driver community. This resulted in the details that formed part of the fleet check. We also asked the driver Trade Union representatives to ensure drivers continue to complete the defect book with any issues as this provides the details to allow maintenance teams to carry out repairs. 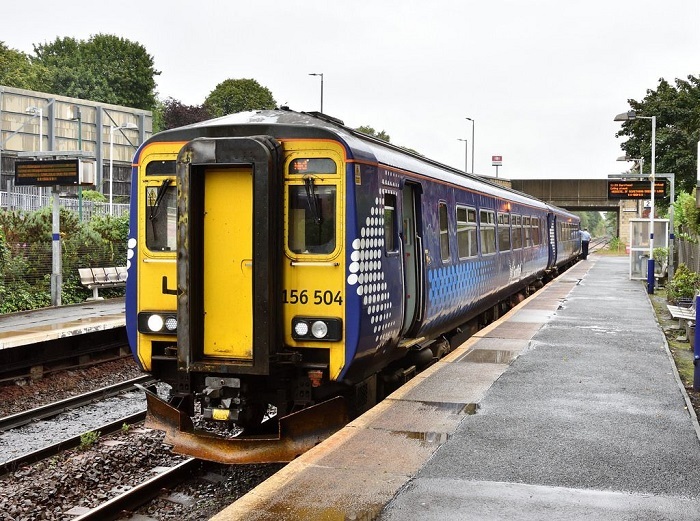 A full fleet check has been carried out on the driver seat of the class 156 units operated by ScotRail. The check included the general condition of the seat base and back, arm rests and the adjuster mechanism. Out of the 48 units only 7 seats have been highlighted with minor issues, ranging from armrest loose, seat cover torn, and mechanism stiff. All issues were rectified at the time of check. Following the fleet check, a review of the Vehicle Maintenance Instruction has been carried out and more details have been added to include arm rest condition and rectify any issues found. All other areas were already included within the maintenance instruction. In the long term, we will ask the ROSCO if there is anything we can look at during the next planned major overhaul of the unit’s interior, but this will have to be done within the constraints of the cab design/construction. A modified seat with a slimmer profile is fitted to Northern's 156 fleet. The modified seat has the armrests fixed to the seat instead of the bulkhead, and the slimmer profile offers taller drivers improved knee room under the desk. Contact Heaton depot. Thank you for the additional information Martyn.